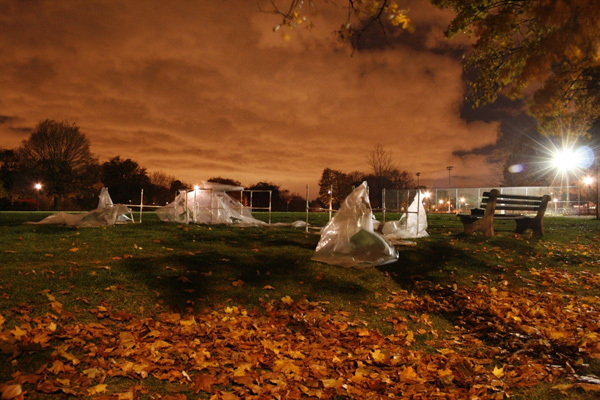 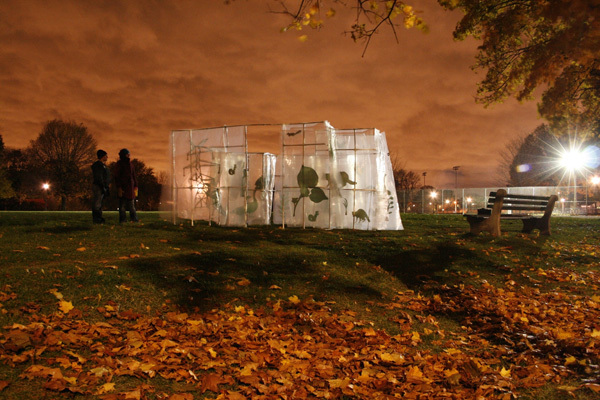 This temporary structure consisting of plastic building materials was designed to be set-up and taken down easily in the public parks of Toronto. 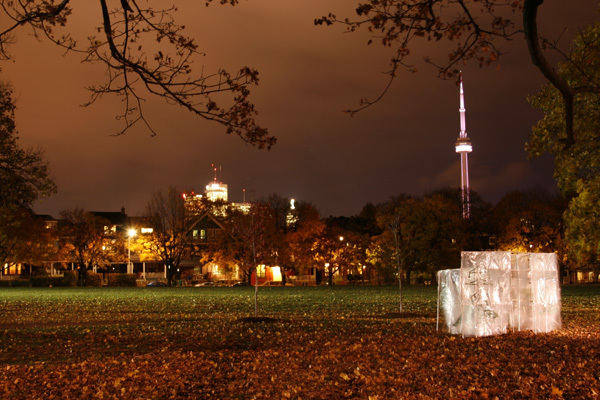 Its materials reference contemporary building practices in Toronto while the imagery includes well adapted urban species. 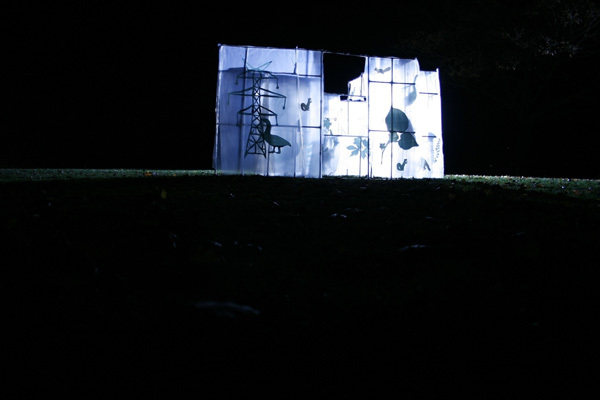 The impromptu set-up of the piece was intended to catch viewers off guard as they embarked on their regular routine of a night walk. 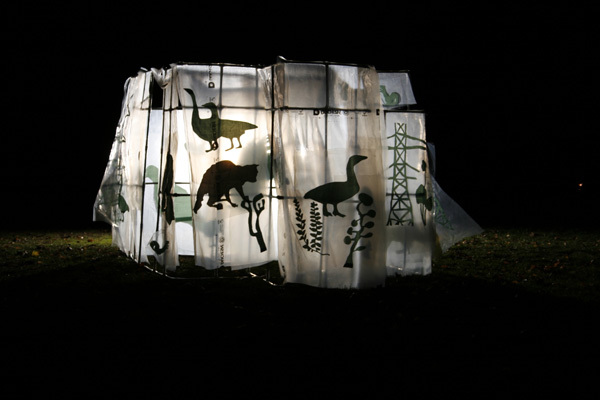 The installation evokes ideas of interconnectedness, instant urban architecture and interrelationships within urban environments.